Caption: Oxleys beside David Carroll and Sarah Campion. 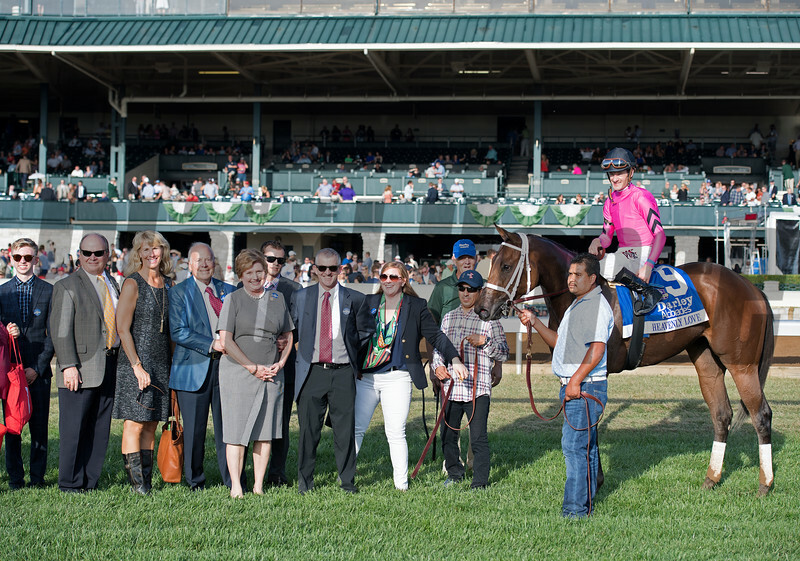 Heavenly Love with Julien Leparoux wins the Darley Alcibiades (G1) at Keeneland. Oct. 6, 2017 in Lexington, Kentucky.